Celebrating 20 years as one of NZ's most influential musical groups, TrinityRoots are set to play a number of special shows. 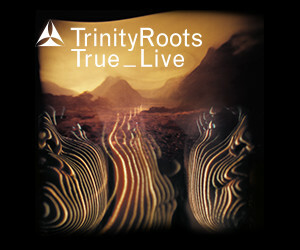 These not-to be repeated shows will see TrinityRoots perform their classic album True in its entirety for the first time. Special guests Lisa Tomlins and Stephanie Paris (vocals), Mark Vanilau (piano/synths), David Long (multi-instrumentalist) and an accompanying string section will help bring the classic album to life. Originally released in 2002, the story behind True became the stuff of local legend. Initially planned to be recorded over a three week period in Central Hawke’s Bay, the final tally was three different locations over nine months. The first sessions took place in Oruawharu, a large farm station house in Takapau. This setting perfectly encapsulated the essence of TrinityRoots –the acoustic flavours of Maori party songs sung around the fireplace to the roots of soul, jazz & blues. The album was completed in Wellington with Dr Lee Prebble and helped birth the now legendary Surgery Studios.